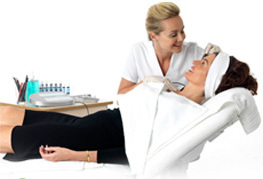 Over so many years, laser systems have been a major part of the cosmetic procedure. A number of cosmetic as well as surgical procedures makes use of these laser systems. In this procedure, the body’s own fat is reduced using a mild low laser treatment. It is neither a cosmetic surgery nor a non-invasive surgery. The lasers are much in use surgery because they offer precise incision with a little or no blood loss. As in traditional liposuction, suction is not employed in laser lipolysis. The fat in the required area is liquefied by inserting a cannula housing a laser. Tiny incisions are made to drain out this liquefied fat from the body. The basic idea behind this technique is to reduce the fatty tissue in those body parts which fail to respond to diet and exercise. Laser lipolysis is considered as an alternate solution to vibration assisted liposculpture. Utilizing SmartLipo laser causes breakage of the fatty tissue membrane, then transforms them into an oily material. The body naturally absorbs and eliminates this oily material. Laser lipolysis is a best-effective procedure to reduce the fatty tissue deposits in much smaller areas. The side-effects related to more aggressive surgical procedures are also prevented. However, laser lipolysis cannot be considered as an alternative for liposuction or liposculpture. The laser lipolysis procedure is best suited for persons who require treatment of small areas such as face, breasts, neck, thighs, arms, abdomen, knees, and areas of loose and soft skin. Both men and female are equally treated with this procedure. Apart from being a painless and safe technique, it provides immediate and quickly visible results. Lost-lasting and natural results are achieved. The common risks and complications of laser lipolysis include infection, scarring, bruising, and hematoma. Other less common risks include shock, excessive bleeding, skin or underlying tissue burn. Following the treatment, some of the individuals may experience minor bruising, swelling or tenderness for a few days or weeks. Laser Lipolysis only tends to re-contour a healthy body, instead of curing obesity.